Launched in January 2012, the Stormwater Management Incentives Program (SMIP) grant program is designed to be a catalyst for transforming large, commercial impervious properties that generate high volumes of stormwater runoff and burden the city’s sewer system and waterways, into properties that build and maintain green stormwater management practices. These practices include rain gardens, vegetated infiltration basins,porous asphalt, and green roofs. PIDC is proud to partner with the Philadelphia Water Department (PWD) on the administration of this innovative grant program. SMIP offers commercial and industrial users grant funds to build green stormwater infrastructure aimed at reducing runoff and lowering stormwater bills. Program funds can be particularly useful for owners and tenants of large, impervious properties with minimal green space that generate significant stormwater runoff. Recently Philadelphia’s SMIP Program was highlighted in the New York City Department of Environmental Protection report, Catalyzing Green Infrastructure on Private Property: Recommendations for a Green, Equitable and Sustainable New York City. See pages 16, 35 and 57 for PWD and PIDC mentions. Read the full report here. 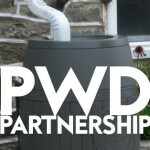 For more information on the SMIP Program visit pidcphila.com/product/stormwater-management-incentive-program.